Still using it, when I remember! I ought to eat a lot more "rhubard" more regularly, then it wouldn't get to these Triffid-like proportions - and it got even bigger than this! 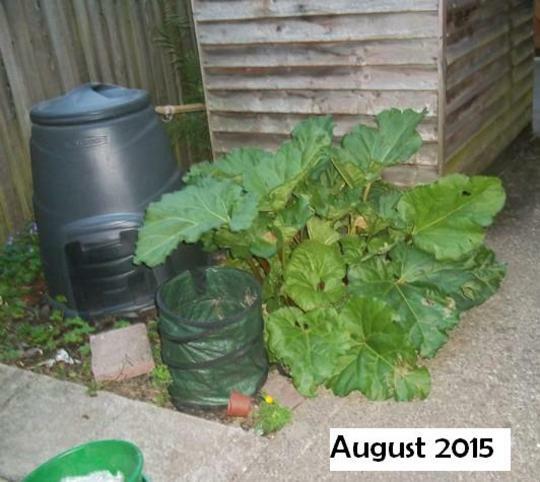 See who else is growing Rheum rhabarbarum (Rhubarb). See who else has plants in genus Rheum.